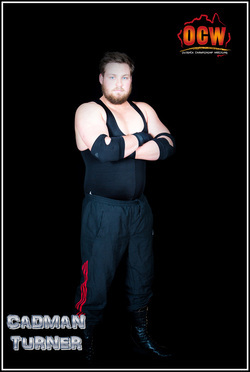 Bendigo's own Cadman Turner is the Big Man in OCW. One of our most popular wrestlers and is feared by all who meet him in the ring. The fact that he is way over 6ft tall and towers over all who meet him Cadman doesn't mind turning his opponents into mince meat.